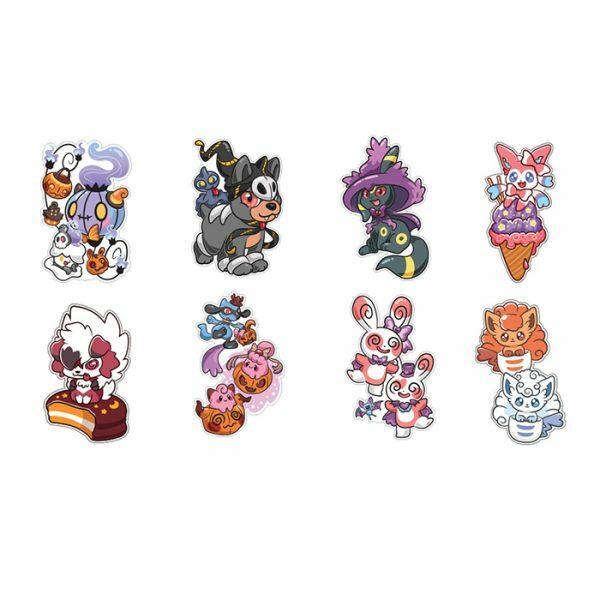 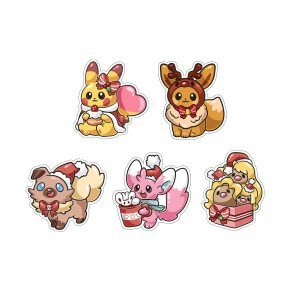 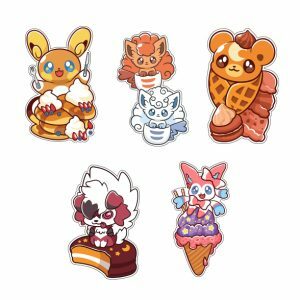 Adorable Pokemon stickers that are extra spooky and sweet! A pack of 8 adorable stickers featuring spooky Halloween and sugary sweet dessert designs. 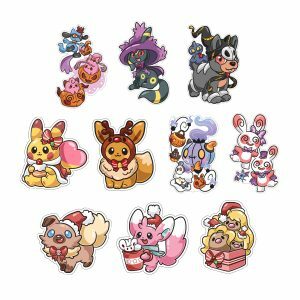 This pack includes: Riolu/Happiny/Cleffa, Umbreon, Houndour, Chandelure/Litwick, Spinda, Midnight Lycanroc, Sylveon, Coffee Vulpix.